Aria and the other residents of their secluded compound couldn't ask for a more plush lifestyle to wait out the apocalypse. Waited on hand and foot in a fortress of knowledge, culture, and science as the future monarchs of the next evolution of humanity is certainly a better fate than whatever horrors lie outside the walls of the compound. But everything comes with a price. Aria and the eleven others like her are prisoners, involuntary participants in an experimental genetic project aimed at preserving and evolving humanity. For Aria, being a genetically engineered superhuman is boring when you're locked in your own castle, and being the queen of humanity means nothing when there's no one to rule. Aria has all but given up on caring about much of anything. Caring has only ever led to pain. That is, until a new resident moves into the room next to hers. She was now standing up, her face in visiable horror. She slowly touched her lips and frowned a little. I got up but Em took a few steps back like I was a fatal disease. I don't want to lie, it hurt, so much. But then I took a few steps more as she took timid ones back. "No." She stopped and closed her eyes tightly. It was as if I could see the uncomfortable aurora she radiated. "This never happened, forget about it." I gulped in agony and shook my head as she looked at me confused. I then cautiously took few steps towards her and stopped right in front of her. "What if I don't want to forget?" (gxg) Luna falls for Chloe at first sight . . . literally, off a ladder. And it's the beginning of a beautiful friendship, after Luna gets past the fact that Chloe is already taken. They soon discover all the things they have in common; a love of colorful hair, beloved autistic family members, and the recent losses of their mothers, to name a few. Their time spent together is a much-needed solace to both girls . . . but it turns out it's obviously a problem for some of the people in their lives. Before long it becomes evident that Chloe's relationship is less than healthy, and Luna vows to find a way to help her friend escape her bad situation and find her way back to herself. 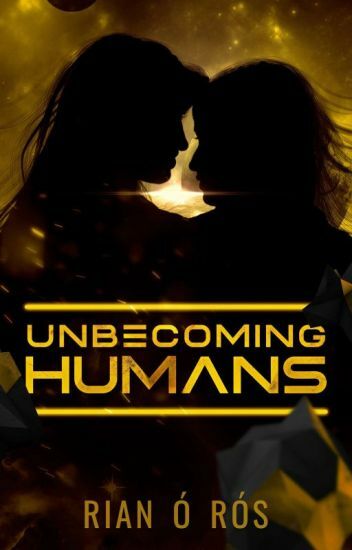 Book 2 of the Unbecoming Humans Series. Humanity is teetering on the brink of extinction. The fate of the species, and that which was bred to succeed it, remains uncertain. Jamie Mars and Logan Hamilton have been best friends ever since they met, but they couldn't be more different. Jamie is popular, loved by everyone, the Student Council President and just an all-round lovely girl, whereas Logan is cold, distant and the secret agony aunt for the school paper. Despite their differences, Logan and Jamie have been inseparable since the day they both met. But during their last year of college, things begin to change for both of them. Jamie gets some very shocking news; news that will mean her life takes a very sudden turn. And Logan begins to realise that she can't hold herself back forever from society; but is she be able to change? Both girls will need each other more than ever through the toughest times of their lives. Co-written by Immy Pattinson and Millie Butters. Amy is an average girl. She has a cute boyfriend and a nice group of friends. The only problem is, her boyfriend isn't who she loves, he's just a beard. Follow Amy as she discovers herself and falls deeper in love with her girlfriend and hides in the closet desperately waiting for the right time. She graduates in a couple months. Let's see what happens between now, and then. "Then tell me. Why are you showing me this place? Why not show anybody else?" I turned to her as she stared at the floor blushing. She laced her fingers through mine as she finally looked up, biting her lip as she stared at mine. A million and one thoughts raced through my mind as she kept staring. "Well, I could tell you. But I'd rather show you." She whispered almost, as she leaned forward, closing her eyes as her lips closed in. I gulped down the lump as I leaned it too, until my lips closed the gap, kissing her passionately. Katie has been troubled for most of her life. After being outed to the entire school at her last school, she decided to start fresh in a new school. However, will she be able to cope with school life when she finds herself falling for more than one girl? Will Kate decide who she will be with in the end? Or will she find herself running away from her troubles, again?